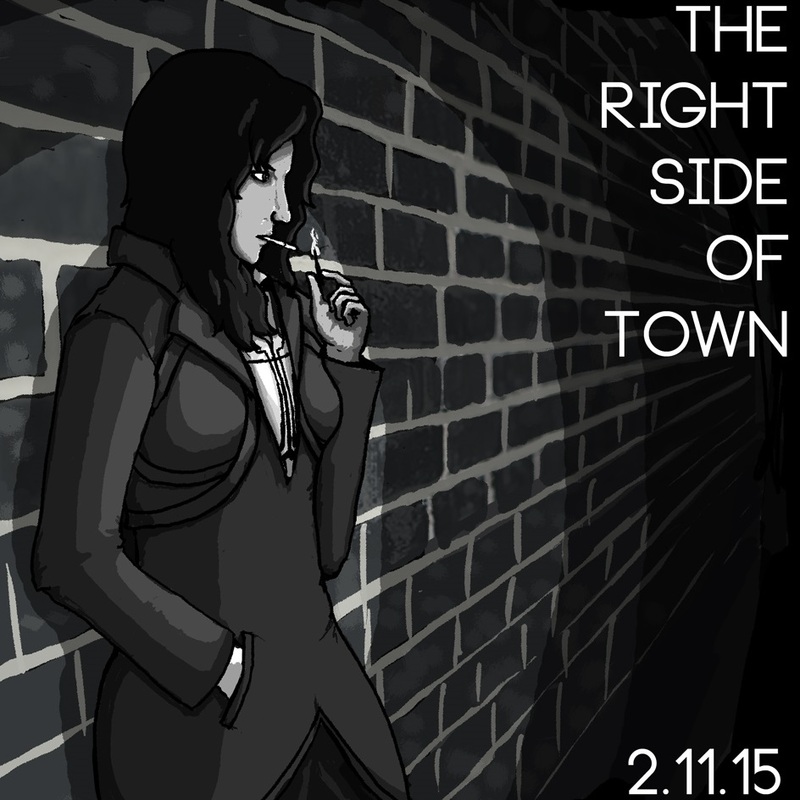 The Right Side of Town is a Twine collaboration between Javy Gwaltney (You Were Made for Loneliness, The Terror Aboard the Speedwell, and [R]espawn), Kitty Horrorshow (Dust City, CHYRZA, and the upcoming SKIN), Erandi Huipe (soundtrack), and Matt Schanue (illustrations). My first play took me about twenty minutes, and I was utterly engrossed. I’ll definitely be playing again to see what other endings I can find – the possibilities for branching seem like the story could end in vastly different places. The illustrations are excellent; Twine games are typically text-based, but for this one, there are illustrations at important plot points. The soundtrack (included as both wav files and in a YouTube link at the beginning of the game) sets the mood perfectly. This is definitely dystopian cyberpunk with all the trappings: huge class divides, androids, somewhere in the middle of present day and an unrecognizable future. The story is tense and kept me clicking, worried that my next move would be my last. There’s an unmistakable Blade Runner vibe throughout the game, with shades of the Battlestar Galactica reboot. I really enjoyed playing through, and I need to find out what the other endings are! I think mine was pretty good. Get The Right Side of Town on itch.io for $3.50. Follow Javy, Kitty, Erandi, and Matt on their Twitters.